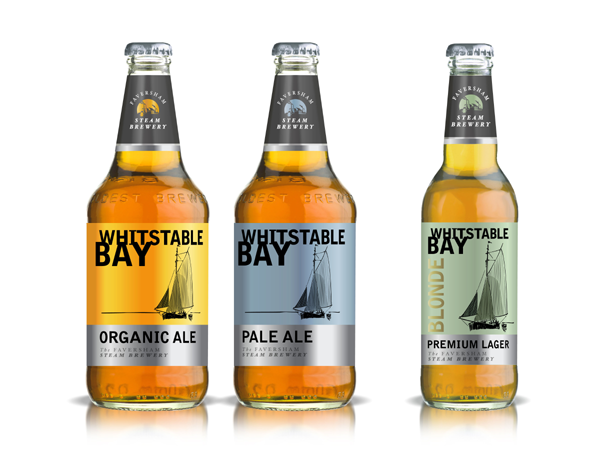 Kentish brewer Shepherd Neame has revealed it’s organic ale, Whitstable Bay, has got a new look and becomes part of a range of Whitstable beers. The organic ale is joined by a pale ale and blonde lager – both non-organic – and are being released under the brewery’s revived Faversham Steam Brewery identity fro the 18th century. Available in 500ml bottles at 4.5% abv it’s described as “an elegant, appetising, dark blonde organic ale imbued with delicate, sweet summer fruit and smooth soda bread undertones. Clean, crisp and incredibly quaffable.”. You can see a video review of it in its original bottle here. Anyone who has had children knows that when it comes to looking after a new baby, everything goes out of the window with the exception of the quest for sleep and the endless cycle of feeding, changing and rocking, for the first month. Good intentions about eating well, being responsible and ethical in the choices we make, and the various things we can do to help the environment can easily slip by the wayside in favor of convenience and cost cutting. However, when it comes to bringing up your kids in an environmentally-responsible way, there are a few things we can do that make a real difference without making life harder for ourselves in the first few critical years. A recent trend looks set to enhance the way we plow through resources at such a rate, and even looks set to improve life a little along the way – welcome to the latest craze in green parenting – the reusable baby wipe. Young children get through baby wipes at a rate reaching in to the hundreds every week. From changing diapers right through to mopping up spills, it seems that these little cleaning gems are the unsung heroes of childcare. Milk being thrown up? Reach for the baby wipe. Hiccup with a bottle? A baby wipe will sort it. While they are indispensable for all of life’s little accidents, the humble baby wipe can also take a huge toll on the environment, ending up in landfill and needlessly clogging up our bins. The good news is, reusable wipes are not only great for the environment, they are also much more cost-effective than their disposable counterparts. Why bother spending money on something that will be used once and then thrown away, when you can make reusable cloth baby wipes for next to nothing? Using home-made wipers is not difficult to do, and they can be easily washed along with diapers to cut down on laundry and make sure you always have a steady supply to hand when you need one. There are two ways to benefit from the new trend in eco-parenting – either make your own wipes, or buy them online from a cloth diaper retail store. Kind on your baby’s skin, they are also great news for people who like to keep things super sensitive. If you simply don’t have time right now to make your own wipes, head online and get them delivered along with your next batch of diapers. To make your own supply of reusable cloth baby wipes, all you need to do is pick out an economical absorbent fabric. One hundred percent cotton is the best for this, or you could opt for a blend of both cotton and bamboo. Cut your fabric in to even sized squares and hem them with a zig zag stitch. Second-hand fabric works just as well – pop along to a thrift store for a ready supply, which will reduce your costs even more. An eight inch square will work best, but experiment with different sizes for different needs. Once you’re washed and dried your cloths, you can prepare a spray to assist with cleaning, made up of warm water and add in some olive oil and a mild liquid soap such as baby shampoo. This will smell great, and also moisturize the skin and keep it clean. If you like, try out different types of oil including avocado, jojoba or almond for different scents. Popping a couple of drops of your favorite child-safe essential oil, such as lavender or tea tree, will also assist the antiseptic properties of the spray and add in a scent to your wipes, but use these sparingly as they can irritate your baby’s skin if they are added in with too much of a concentration. Have you heard that saying, which goes ‘one man’s trash is another man’s treasure’? All over the world, people are looking for items which you may have in your garage or store room, gathering dust. When the urge to have a good clear out hits, have you considered the brilliant schemes for recycling we have out there, instead of simply dumping your stuff in the trash? Over the past few years, there has been a sociological shift in the way we recycle goods. Whereas once taking secondhand goods from thrift stores was considered to be a little trashy, now even the glossy high-fashion magazines are featuring vintage and retro items with reverence! It’s as if we’re starting to appreciate the practical beauty of recycling, and pausing to think before we throw things away. I recently got in to gardening for the first time, and was looking online for things to buy to help me along. My neighbours helped out by giving me plant pots that had been lying around in their back yard, and I soon built up a stash of goods to use. I realised that by putting a bit of effort in and sharing my crops and seedlings, I was able to set up a kind of feudal system in my back garden just by swapping things around. The internet has caught on to this craze for sharing rather than trashing, in a big way. Sites like eBay make it easy for us to hunt out the things we need, and procure them at a low cost. It’s now easy for us to find second-hand items at a fraction of the price they would be originally, and feel a bit smug as we realise we’re not only saving cash, but helping the environment. Initiatives like www.freecycle.org provide a global network of sites which are dedicated to providing lists of second-hand items that people no longer need, and giving them away or swapping them for something else. In times of economic crisis and recession, this is a superb idea for saving money while reducing environmental impact. www.Earth911.com is another great site which promotes recycling initiatives, offering a range of goods which people no longer need, and are looking to give away to a good home. The chances are, if you’re looking for something, someone else has a spare one! Goods ranging from plant pots, clothes, computers, kitchen items, electrical appliances and furniture are all available to a good home if you know where to look. The days of the thrift shop being regarded as trashy are long gone, and it’s now considered hip to share what you have with other people, to reduce manufacturing costs and chemicals. Check out your local area for ideas about what you can recycle, and how to do it. Anyone who has done a garage sale understands that there is a good home for absolutely anything you can sell, so it’s worth taking a look at what you have and seeing if you can find it a good home, before popping it in the garbage. Similarly, if you’re looking for a specific item, check out your local recycling centres, thrift stores, charity shops and online resources to see if you can hunt it down second-hand. Have fun! I saw this on Springwise the other week and had to share it. I’m not sure whether I’m doing it to be eco-friendly or I’m just lazy but I often don’t dry my hands properly after washing them in public toilets. You have to spend 15 minutes under the warm air dryer or use about 10 pathetic paper towels. So often the back pockets of my jeans come in handy. So imagine my delight in reading about eco-friendly, reusable hand towels. California-based PeopleTowels is trying to encourage people to carry their own hand towels with them. The pocket-sized towels are quick drying, made from 100% fair trade cotton, made with environmentally friendly dyes and have handy hang tags to attach to your bag. Not only is it easy to folde up and store in the cupboard or the car, it’s also made from recycled cardboard. Melbourne-based company Belkiz has made the Feedaway, a cardboard portable feeding chair that can be used for temporary situations or where space is at a premium. It can accomodate toddlers up to 20 months old and up to 20kg. While parents can use it a home, the fact it folds up flat makes it useful for the car or maybe at grandparents’ houses where they only need a high chair once in a while. The Feedaway is made from recycled Visy cardboard, and comes with its own 3 point safety harness and recycled cardboard carry box and can be recycled after use. It retails for AUD$39.95 and is currently only available in Australia.